This baked chicken pesto parmigiana is super rich and flavorful, quick and easy to make, and SO much healthier than traditional chicken parmigiana. 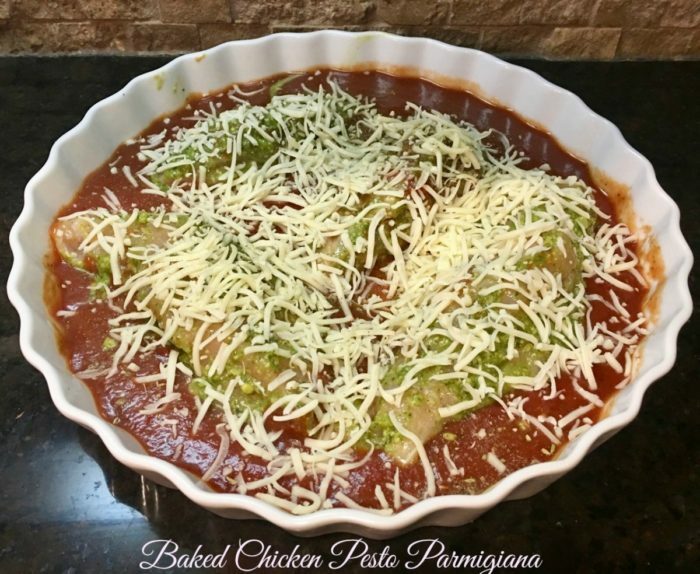 This baked chicken pesto parmigiana is one of my favorite busy weeknight meals. 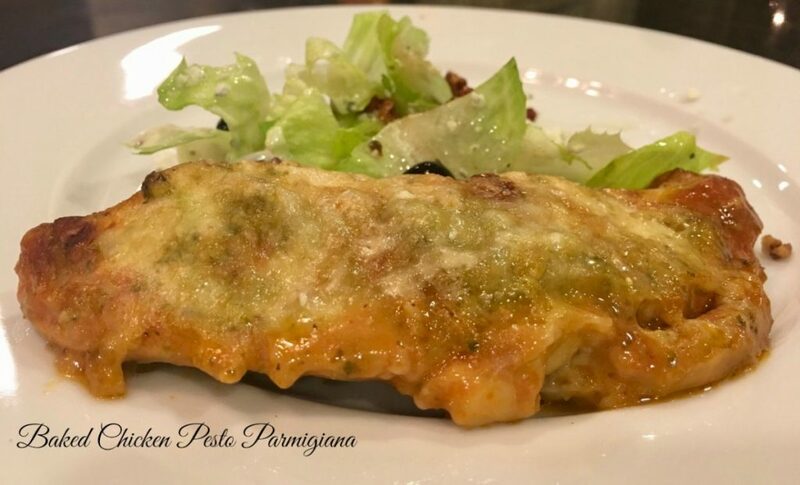 Paired with a salad, it is a rich, filling, low carb alternative to batterd & fried chicken parmigina. If you want to turn boneless skinless chicken breasts from boring to spectacular, try this recipe. Prepared spaghetti sauce and basil pesto really make this as easy as a recipe can be. Don’t be tempted to omit the pesto, as it keeps the chicken moist during baking and adds HUGE flavor as well. This is as easy as it gets. After prepping the chicken, simply assemble all ingredients into the baking dish, cover, and bake! The last 10 minutes or so of baking are simply to fully melt the cheeses and give a light crisping. 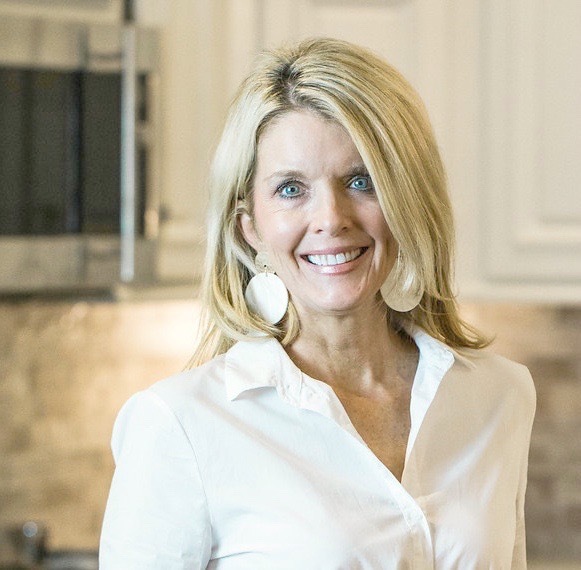 Since ovens vary, cooking time may need to be adjusted, and chicken should be tested with a thermometer to make sure internal temperature is at least 165 degrees. Costco’s Kirkland basil pesto is a staple in my fridge, and I can’t rave about it enough. It tastes exactly like freshly made pesto, keeps in the fridge for several weeks, and costs a fraction of what you’d buy at most grocery stores. This is one of my favorite products at Costco. Chicken: I always use fresh chicken for this recipe, as frozen breasts release moisture during cooking that messes up the consistency. Three steps of easy prep make the chicken turn out perfectly every time. 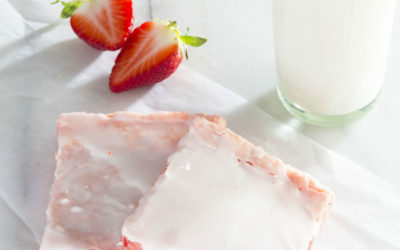 1) Cut chicken into small strip or tenderloins (#saynotothickyestothin). 2) Tenderize the meat. 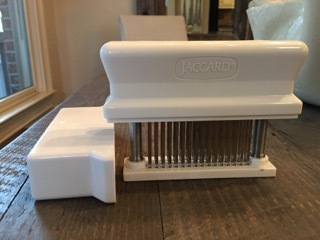 You can use a mallet, but I am obsessed with this Jaccard meat tenderizer. Tiny little spears pierce the meat~no pounding and no splattering of chicken:-) 3) Dry the meat with a paper towel after tenderizing and before spreading with pesto. This will give a good base for the ingredients to adhere to the surface of the chicken and bake to perfection. 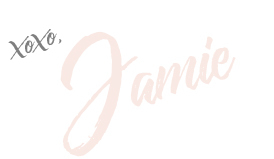 If you try this, please leave comments, thoughts, suggestions, etc….I love hearing from readers! As always, thanks so much for stopping by. Be blessed, and stay savvy!!! Pour spaghetti sauce into baking dish; set aside. 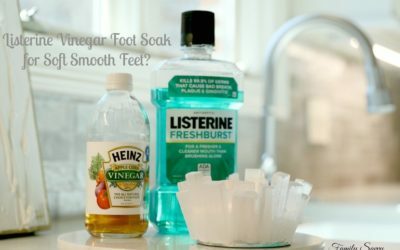 Cut chicken into small strips or tenders; tenderize. Dry chicken with paper towel; sprinkle with seasoning, salt & pepper. Spread pesto evenly on top of chicken pieces. 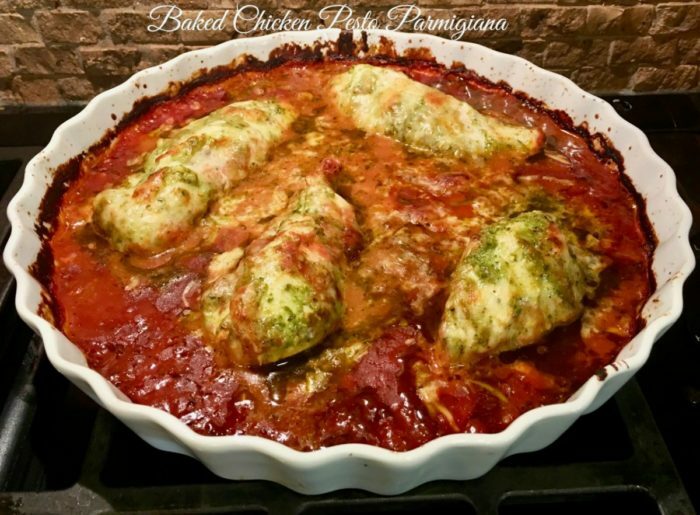 Place chicken in baking dish on top of sauce. Sprinkle mozzarella and parmesan over chicken. Cover; bake 30-40 minutes or until chicken is done. Uncover; bake until cheese melts and begins to brown at edges.